Refreshing, hydrating watermelon is quite simply the perfect summer fruit. And, in honor of this nutritious, delicious summer staple, we’ve gathered our favorite watermelon recipes. We’re sure you’ll love these 13 recipes that include smoothies, salads, and dessert ideas so you can enjoy that sweet, juicy pink and green giant in all sorts of ways! 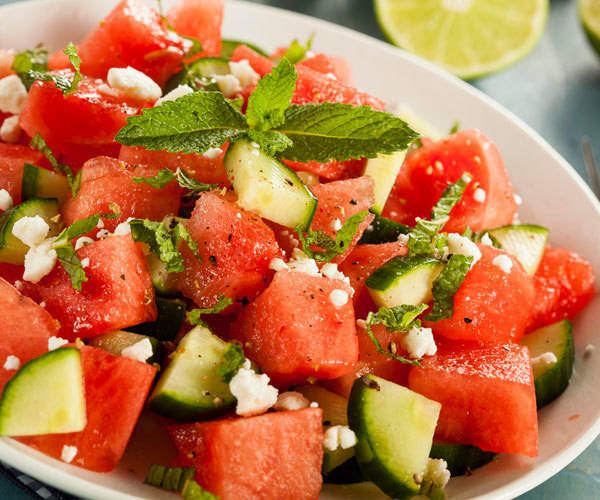 Watermelon is perfectly suited for this summer salad. 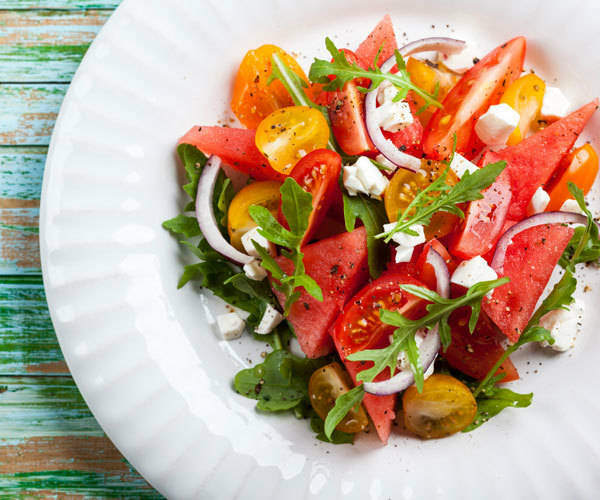 Sweet watermelon and savory heirloom tomatoes make a great pair, and nicely complement the peppery arugula, salty feta, and sharp red onion in this dish. Choose tomatoes of several different colors for dramatic appeal. The next time you fire up the BBQ, throw some wedges of watermelon on the grill! 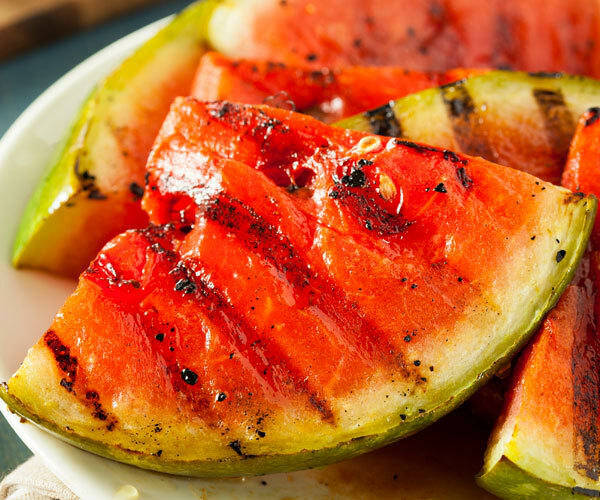 Grilled Watermelon Wedges have an enhanced sweetness and just a touch of smoky flavor. 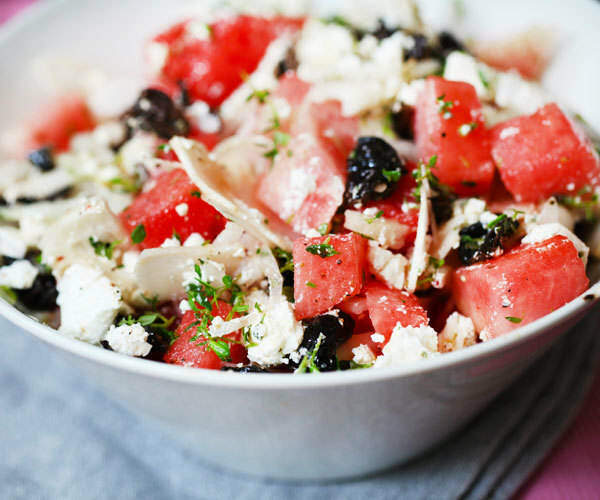 This splendidly tangy and summery Watermelon Feta Salad features a surprising twist, Kalamata olives. However unconventional, the combination of freshly cut watermelon and salty Kalamata olives pair well together. Cubed watermelon, banana, Shakeology, and Greek yogurt come together for a thick, delicious shake in this Watermelon Smoothie recipe! 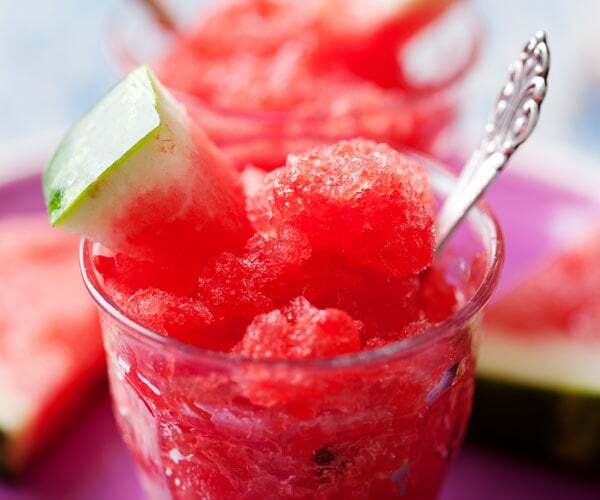 Frosty and naturally sweet, our Watermelon Granita recipe is a total showstopper. Once you’ve had a taste, you’ll be tempted to save part of every watermelon you buy to make this delicious watermelon dessert! It’s only 57 calories per serving! 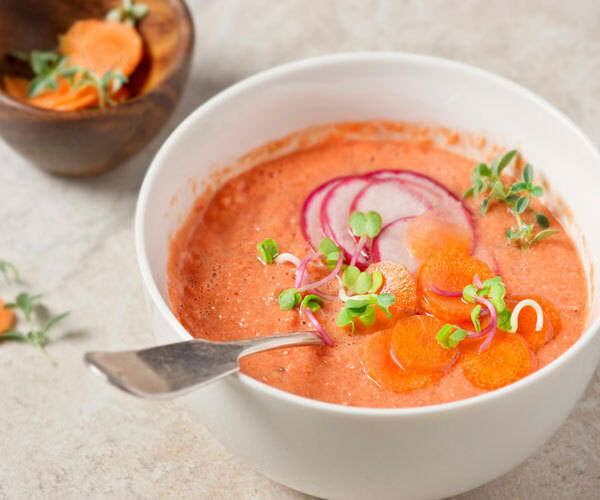 Watermelon is the unique twist that makes our chilled Watermelon and Tomato Gazpacho even more flavorful. This tasty watermelon recipe requires no cooking. Just put everything into a blender and bam, you’ve got a most refreshing summery soup. You can also make this watermelon recipe ahead of time. It tastes even better on day two. In Los Angeles, vendors sell cups sliced fruit topped with a mix of fresh lime juice and a chili spice mix. Those refreshing summer snacks are the inspiration for this no-fuss recipe. This is one summery pop you won’t want to miss. Naturally sweet watermelon gets a flavor boost from raw honey and a touch of fresh lime in this Watermelon Popsicle recipe. 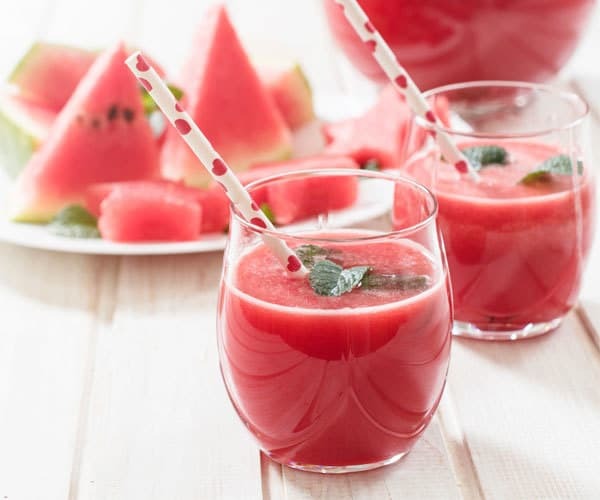 Drink in the sweet flavor of summer with Strawberry Shakeology and refreshing watermelon you’ll have to try our Strawberry Watermelon Surprise Shakeology. Creamy Tropical Strawberry Shakeology and juicy watermelon come together in this watermelon recipe. 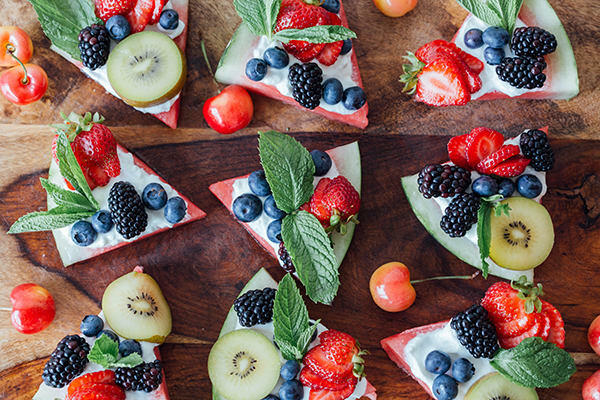 Once you’ve sliced your watermelon into wedges, these Watermelon Fruit Pizzas are a easy to whip together. The festive cuties are the perfect party favors to light up any summer gathering. 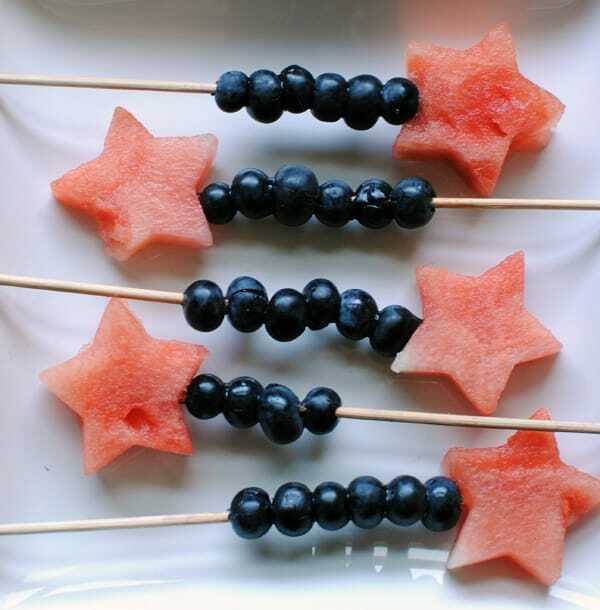 Our Watermelon Blueberry Sparklers are a simple watermelon recipe. They’re quick to put together and even more fun to eat! 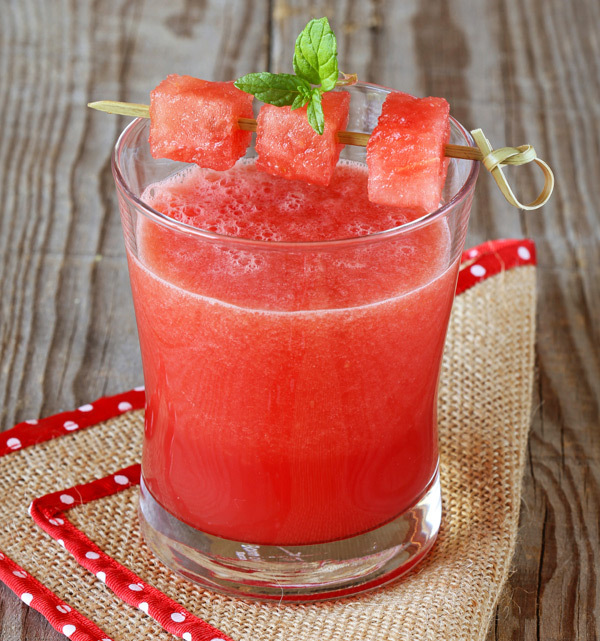 Our Watermelon Ginger Shakeology is one must try Shakeology recipe. Watermelon and lime are already a perfect pair. Add Tropical Strawberry Shakeology and fresh ginger to the mix and this motley crew makes for an amazingly bright and delicious smoothie. Don’t throw out that rind! The white flesh of a watermelon contains nutrients as well. In fact, the entire watermelon is edible, including the rind, but since it’s not as yummy as the other parts most of us won’t be putting the rind in our watermelon recipes this summer. If you’re making one of our amazing watermelon Shakeology smoothies (detailed below), cut your watermelon as close to the green as possible. 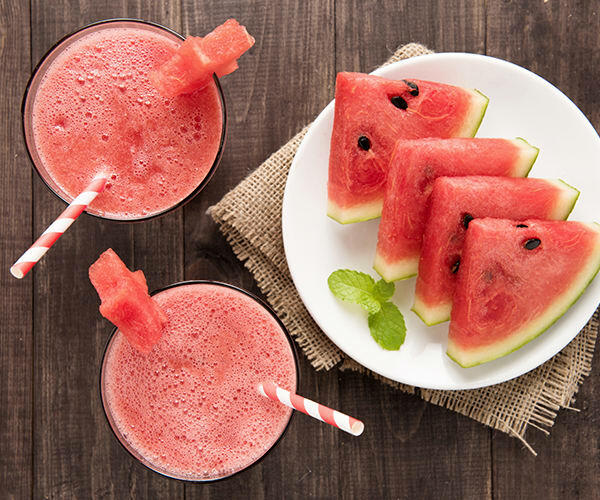 It won’t affect the flavor of your ice blended watermelon beverage much and you ensure that you get the maximum nutrition of out of this refreshing fruit. 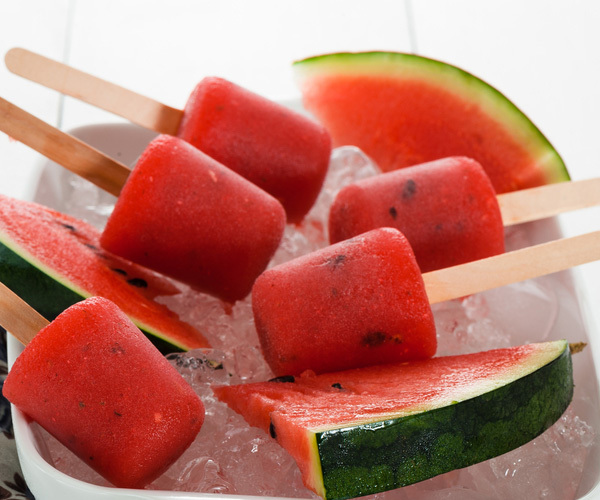 Don’t know what to do with all that extra watermelon, freeze it! You can even stock up on perfect, fresh watermelons at the peak of the season and freeze them so you can enjoy that summery flavor in smoothies all winter long. Did you know that you can eat watermelon seeds? Watermelon seed spitting contests are a ton of fun, but you could be using those seeds to pack in a little extra protein, magnesium, phosphorus, and potassium. Much like sunflower seeds, watermelon seeds are edible and good for you, but they need to be sprouted first. To sprout watermelon seeds, simply place seeds in a jar of room temperature filtered water overnight (or 12-16 hrs). In the morning rinse your seeds with fresh water and repeat rinsing every 12 hours. You’ll begin to see your seeds sprout around day two. You can continue sprouting 2-4 days if you wish. Now just shuck the black shells from your sprouted seeds prior to eating. You can eat your sprouts right away or store them in the fridge for up to a week. Who knew we’ve been tossing vital nutrients into the waste bin? You can also blend sprouted watermelon seeds into your smoothies and sprinkle them atop any of our watermelon salad recipes. If you don’t have time to sprout your own watermelon seeds you may be able to find them already sprouted and dried at your local whole food grocer. Did you know watermelon contains vitamins A, B6, and C, phytonutrients like lycopene, and amino acids like citrulline? A recent study suggests that citrulline, found in watermelon, may help boost athletic performance. (Though you might need to get it from watermelon extract to feel the effects.) 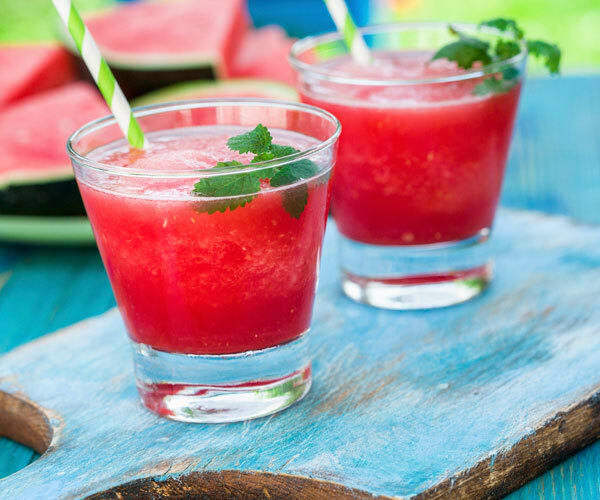 Plus, a 2013 study found that drinking watermelon juice before an intense workout can help reduce soreness in muscles and even help regulate heart rate. This may be attributed to citrulline and arginine, two amino acids that help improve circulation. Need more lycopene in your life? Look to watermelon, tomato, pink grapefruit and guava to get carotenoids like lycopene, which give fruits and vegetables their vibrant color. So for those who aren’t especially fond of tomatoes, making any one of these delicious watermelon recipes is a great way to get that lycopene boost.